Alison Stokke, who normally rises over the pole-vaulting bar, rose to Internet Fame when a picture of her when she was 17 at a track meet was posted on the Internet. Soon, more pictures would surface, millions of new fans would stare at her gazingly, and this future California Bear Field Star, would find unexpected, and unwanted fame as one of the few Internet stars that have kept their clothes on. 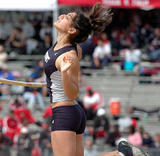 She was the National Freshman Record holder in the pole-vault in 2004 going 12-08 and winning the California State Meet. In 2005 she was trying out a new pole during a practice session at Golden West College and unfortunately fell into the concrete box, breaking her tibia. At age 15, Stokke won a California state championship, and broke several national records in her age division. As a senior at Newport Harbor High School, she set the second best mark in the nation for that calender year with a 13'7" vault. In the CIF State Championship finals she finished 4th after a leg injury interfered with her ability to sprint down the runway. After being highly recruited, Stokke now vaults for the University of California at Berkeley. I remember that main pic going nuts but it was like OSHIT. DANGER. was she at the Olympics?!? 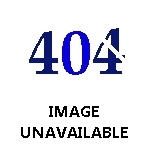 Page created in 0.421 seconds with 14 queries.